Amsterdam-Canal-Cruise.info isn’t only about canal cruises in Amsterdam, we also have published loads of useful Amsterdam information. Amsterdam is the capital of the country the Netherlands and is know as a very liberal city. You will not find other cities where smoking and buying marijuana and visiting prostitutes are allowed and normel. Besides these aspects, the Amsterdam has so much more to offer. The city has a rich history, bustling nightlife, world famous festivals and events, an UNESCO listing and great restaurants. To help you get acquainted with Amsterdam, you can read all kinds of relevant Amsterdam information. – To travel public transport you’ll need a special public transport debet card. – The weather of Amsterdam can be a bit precarious, so always bring your umbrella. Also have a look at our A-to-Z-list for more practical information. In dept information about Amsterdam, can also be found on our website. Although Amsterdam is not as big as Paris or London, there is a lot to see. From a historical point of view you can have much fun. Amsterdam has many historical elements from the Dutch Golden Age, such as the Canal Belt, the Nieuwmarkt square and the Dam square. Not to forget the Red Light District, which belongs to the oldest part of Amsterdam. Amsterdam has a few very popular areas, with many great bars and restaurants. 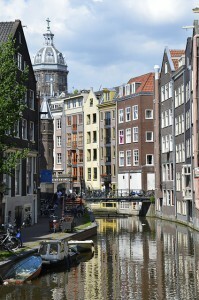 First one is the Jordaan area, which is located in the west. In this part you can find the Wester church and the Northern church. In the Jordaan you can also find some great weekly markets and parks. The Pipe area is less older, but still very attractive. It has a high density of bars and restaurants. Highlight at the Pipe area are the Albert Cuyp market and the Sarphatipark. There is so much to do in Amsterdam. 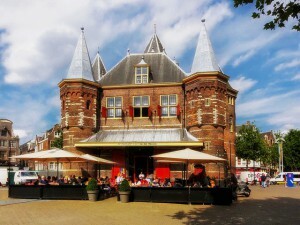 There are many museums, like Van Gogh Museum, Rijksmuseum and Anne Frank House. Let’s not forget the many popular attractions, such as Heineken Experience, Amsterdam Dungeon and Madame Tussauds. Due the many shopping areas, shopaholics will enjoy Amsterdam. 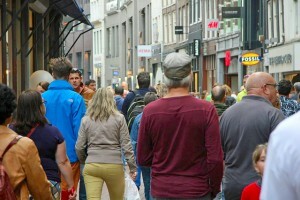 There are main shopping streets with all international brands, which are the Kalverstraat, Nieuwendijk and the Leidsestraat. There are also a luxurious shopping streets, which is the P.C. Hooftstraat. In the city center you can also find some department stores and shopping malls. Bijenkorf, Kalvertoren and Magna Plaza are the most popular ones. Amsterdam organizes many activities to attract and entertain people. Therefore there are often festivals and special events to visit. Keep an eye on our agenda, to see if there is anything interesting coming up for you. Although you can see a lot in Amsterdam, the city is relatively small and many tourist sights and other hotspots are close to each other. Even the country, The Netherlands is relatively small. It is possible to take the train and cross the whole country in just a bit more than two hours. This makes it interesting to consider visiting other interesting parts of the country. Therefore it is highly advised to do a brief study about the surroundings of Amsterdam, such Haarlem, Volendam, The Hague and more.